As a teacher you can choose to add events to your course. These events can be created with multiple occurences, such as for every day, week or month. This quick guide show how to add an repetitive event. 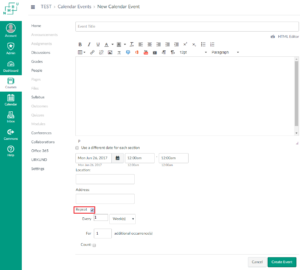 Click the Calendar in the navigation bar. Click the “+” button at the top right corner, as shown in the picture. 1. Choose if you want to create an event (eg Lectures), or an Assignment. 2. Choose what course you want to create it for. Check the “Repeat” box in order to make it a daily, weekly og monthly event. 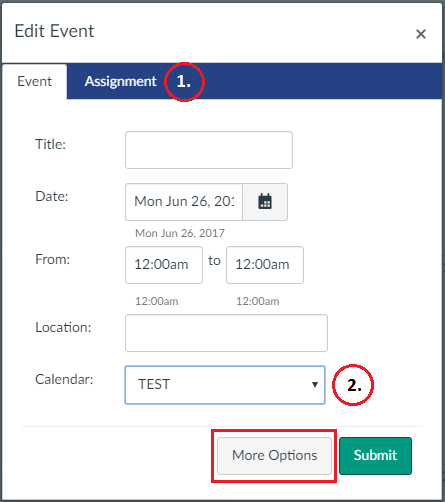 If you want Canvas to count each time you can also check the “Count” box. The number appends to the end of each event title. 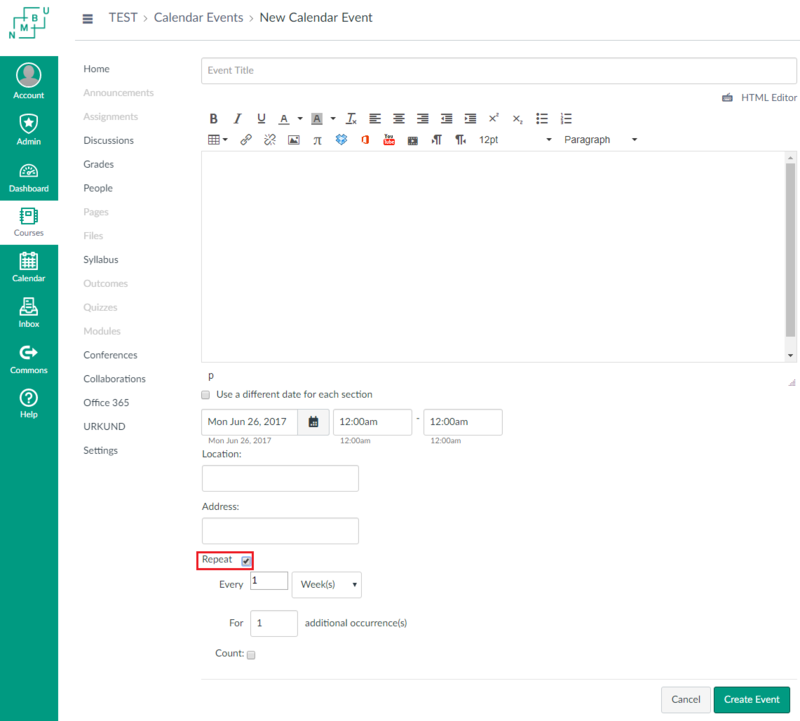 This entry was posted in Study systems and tagged Canvas on June 5, 2017 by Frithjof Kramer Hald.